LAYCOS NETWORK S.L.U. hereinafter LAYCOS (www.laycos.net) is a technological tool for professional communication with restricted access only for users that previously where invited, and therefore are authorized to have access to the platform. This corporate network belongs to LAYCOS NETWORK SLU, with CIF B76205137 and corporate registered office located at Avenida Tres de Mayo, 17 piso 2 puerta 8 Edificio Zenit, Postcode 38005, Province of Santa Cruz of Tenerife, Canary Islands, Spain, with official address email info@laycos.net. It is important to inform you that Laycos is committed to protecting the online privacy of users who visit their website www.laycos.net as well as the information that by reason of the provision of their service, try in relation to their clients. For this purpose, these policies have been drafted to provide you with the information you need to know in relation to your privacy and how your personal information will be treated. Given the above, if after reading the following privacy notice, you do not agree with some of the conditions contained in it, you must stop accessing this website and/or use this corporate network, since access to it, implies the unreserved acceptance, of the conditions in it collected. The use of certain applications offered on this site will also be governed by the specific conditions provided in each case, which will be accepted by the mere use of such applications. You should know that the Policy of Laycos with customers will only apply to previously registered users who access Laycos through a registered email address and password, and the part of the Policy that affects Web users will apply to them. all those users who access and use the website and participate in any of the options offered and that require the processing of their personal data, such as: Newsletters with information and/or advertising, presentations of a curriculum or registrations at public events and/or conferences. In general, all the information and data that you provide or Laycos collects both through the website and in the context of the use of the services of the corporate network, will be treated by Laycos in a legal, fair and transparent manner under the principles of limitation of the purposes, limitation of the periods of conservation, minimization, proactivity, integrity and confidentiality, principles all of which are applicable in accordance with the provisions of the General Data Protection Regulation, (Regulation UE 2016/679 of the European Parliament and of the Council of 27 April 2016 on the protection of natural persons with regard to the processing of personal data and the free movement of such data and repealing Directive 95/46 / EC ). The company Laycos Network S.L.U. with CIF B76205137, address in Avenida Tres de Mayo, 17, piso 2 office 8, Edificio Zenit, 38500, Santa Cruz of Tenerife, Canary Islands, Spain, with official email address info@laycos.net, will be the entity Responsible for the Treatment of personal data carried out through this website and those related to the users of its platform in the terms strictly indicated in the second device of these Policies. Users of the Corporate Network: Laycos is a professional corporate network, designed to cover the needs of communication and management of information at business and/or professional level, bringing together various functionalities in a single workspace: your desktop. With its way of proceeding, access to the communication platform that will provide customer service is restricted only to its authorized users. These data will only have a single destination: Proceed to register new users in the system and allowing them to access the platform by authorized users. The contracting entity of the service, as owner of the organizational domain, assumes control of the private community to which Laycos will not have access, so it is recommended that said community be managed by at least two administrators/managers to supervise the use and control of the content published in it, by exempting from this mode to Laycos Network S.L.U of any responsibility in that regard, could derive. Guest users: When the owner of the organizational domain needs and/or decides to invite other users to their private community, Laycos will need to manage only and exclusively the treatment of the following data of these "guests": name and surname, in order to proceed to register the aforementioned person in the private community, as well as an email that will allow the user to access the corporate network. Users of the website: using the website, Laycos will collect and process the information related to you as a user, when it is expressly provided, for example when you are subscribing to the newsletter, in order to obtain information and/or advertising about Laycos, if you wish to register to attend any of the events and/or conferences, or simply provide your curriculum vitae, in the event that you are interested in participating in a selection process. You are informed that in some of the forms that you can access through our website, you can include free text fields that, although they are provided you to let Laycos know, information that you consider of interest to contribute to this entity, however, could intentionally or unintentionally disclose sensitive categories of personal data (revealing, as in the case of curriculum vitae, data of racial origin, religious beliefs, philosophical, union affiliation, data related to health, sexual life or sexual orientation ) that in no case, Laycos needs to collect or conserve for any purpose, that is why Laycos asks, not to communicate sensitive personal data through this website, given that supplying this additional information on their part, will force them to collect your express consent for this exceptional treatment of unnecessary data. As we indicated in the previous section, in any of the forms on this website where there is freedom to write, you may or may not intentionally include personal data related to third parties. In the event that you decide to share this information, you will be assuming all responsibility for such data as Responsible for the Treatment, exonerating from any liability that may arise from such action, whether for complaints, claims for damages and/or compensation to Laycos Network S.L.U. It is prohibited the treatment of data of minors either with regard to the processing of data that can be carried out on the Website as in relation to the service of the Corporative network that Laycos offers. 5.- Data related to the navigation: Information about your connection and devices. a) Access the website www.laycos.net, this includes information such as the hardware model, operating system information, browser information, IP address and mobile network information. b) When you install the Laycos app on your mobile phone or any other mobile device such as a tablet, in order to be able to perform the service provision, access, collect, control, store on the device and/or remotely store one or more "Device Ids". Device identifiers are small data files or similar data structures stored on a mobile device or associated with it, which uniquely identify that mobile device and the identifiers of the device it facilitates. A device identifier may consist of stored data that is related to the device's hardware, stored data that is connected to the device's operating system or other software, or data that Laycos sends to the device. For the effective provision of the service, it is necessary to use own and third-party cookies to improve the services. For more information, you can access the cookies policy, whose link is located at the bottom of the main Laycos page or by clicking here aquí (www.laycos.net/en/politica-cookies). Laycos is not an open social network, it is a professional technological platform, conceived as a means of communication for internal use limited to members invited to networks created in their community and restricted access to minors. This corporate network is organized in different networks, each member of the organization can create their own network and groups as an administrator or as a guest. In turn, these networks can be generated by the administrator to restrict access of guests to so they can share information. In order to use the services that offer Laycos, the interested organization must previously hire their services by contacting this entity through the means indicated in article 12 of the present policies. Given the above, and in accordance with the provisions of Article 6.1 of the General Data Protection Regulations, in order to comply with the execution of the service provided by Laycos, a service contract must be formalized. Although it is not obligatory to provide your personal data to Laycos for this purpose, Laycos will not be able to give you the described services. To start the corporate network, Laycos will only need the name of the Organization, surname, and name of the person of the organization that will manage the system of the member of the organization, email and access password that previously has been provided to access the service. The rest of the personal data that could be included once the system is running, such as user profile, work department or other information (social security number, work position, etc. ), will be compiled voluntarily and personally by the user, under his responsibility. As noted, when the owner of the organizational domain needs and/or decides to invite other users to their private community, Laycos will need to manage only and exclusively the treatment of the following data of the aforementioned "guests": name of each user, at least his first surname, in order to proceed to register the previous person in the private community, as well as the email that will allow the user to access the corporate network. Given the above, and without prejudice to the fact that you can exercise your right to oppose the treatment before Laycos, the owner of the organizational domain may also request Laycos to leave the community, when the personal and professional circumstances of each particular case, do not justify now, your access to the corporate network, of a professional nature. Given the foregoing, and in accordance with the provisions of the General Data Protection Regulations, it is also informed that the identification data provided and that are necessary to "access as a guest to the private community of Laycos" will generate the consequent registration of activity and proceed to store the information collected in an automated file called "Corporate Network Laycos" whose responsible for the treatment is Laycos Network, SLU, with CIF B76205137, and address at Avenida 3 de Mayo, 17 - Piso 2, Oficina 8, 38005 , Santa Cruz of Tenerife. According to article 6.1 of the General Data Protection Regulation (RGPD), the processing of your personal data to carry out the purposes described, is based on your consent. Given the above, and although it is not mandatory that you give your consent, if you refuse to do so, you will not be able to access the community of Laycos to which you have been invited. For the present purposes and under the provisions of Article 7.3 of the General Data Protection Regulations (RGPD), you are informed that you may revoke the consent in your case, granted, at any time, exercising your right through referral of an email to juridico@laycos.net addressed to the department of Data Protection, motivating their request. In any case, such revocation will not affect in any way the legality of the treatment based on the consent prior to its withdrawal. As you know, Laycos aims to facilitate communication in the professional field for which it was created, establishing a communication forum, immediate, restricted, for authorized users. Each user will, therefore, be responsible for the information that is voluntarily disseminated in the community (space) created for their organization in Laycos. Users are warned that it is forbidden to disseminate any information obtained through Laycos outside the scope of Laycos, as well as the reproduction of images or texts without the owner's consent. The breach of this duty of secrecy constitutes a transgression of good faith, subject to the responsibility of the offender. The company that owns Laycos is not responsible for the improper use of the platform or the veracity of its contents. Each user is duly identified, so at all times the identity of the users who intervene in the groups of Laycos will be known, and therefore the individual and personal responsibility of the user who uses this means of communication to perform insults could be demanded, terms of abuse, insults or infamies. The company that owns Laycos is not responsible in any way for the contents or comments made by users in the corporate network. All the information that is received through Laycos, comments, suggestions or documents, among others, will be considered that it can be disseminated in the group in which it is published and that it supposes a relevant information to share it. The user accepts the dissemination of such information exclusively among the users of Laycos. Do not send information that cannot be treated in this way. The company Laycos does not access or store this information. Finally, Laycos proposes to use their personal data collected with its high in the platform in order to verify your identity and assist, in case you lose or forget your username/password on any of the services of registration of Laycos. a) The newsletter is sent by email to people who have explicitly requested it. b) Allow you to request a test/demo, a quote or any information related to the service that is of interest to you. c) Future marketing, promotion, and advertising purposes, including for the purpose of direct marketing, by email, SMS, telephone, banners, instant messaging, through an operator, postal mail and on social media. d) For purposes of marketing, promotion and future advertising, sending direct marketing communications by email in relation to the service, conferences, events and/or similar and that you have requested through our newsletter that is collected on this website. It explicitly informs you that Laycos does not provide for the creation of any type of profile automated on the data collected with the purpose set out above. In accordance with the provisions of the General Data Protection Regulations, you are further informed that the identifying data provided by you and that are necessary to "meet your request for information about Laycos" will generate the consequent activity record and will proceed to store the information collected in an automated file called "Web Contacts" whose controller is Laycos Network, SLU, with CIF B76205137, and address at Avenida 3 de Mayo, 17 - Piso 2, Oficina 8, 38005, Santa Cruz of Tenerife. According to article 6.1 of the General Data Protection Regulation (RGPD), the processing of your personal data to carry out the purposes described, is based on your consent. Given the above, and although it is not mandatory that you give your consent if you do not want it, the truth is that if you refuse, it will prevent Laycos from sending you any of the commercial communications indicated in order to meet your request for information about of the corporate network. For the present purposes and under the provisions of Article 7.3 of the General Data Protection Regulations (RGPD), you are informed that you may revoke the consent in your case, granted, at any time, exercising your right through referral of an email to juridico@laycos.net addressed to the department of Data Protection. In any case, such revocation will not affect in the legality of the treatment based on the consent prior to its removal. In accordance with the provisions of the General Data Protection Regulations, we inform you that the identification data provided by you and that are necessary to proceed with your registration at the event, will be stored in an automated file called "Web Contacts" whose responsible for the treatment is Laycos Network, SLU, with CIF B76205137, and address at Avenida 3 de Mayo, 17 - Piso 2, Oficina 8, 38005, Santa Cruz of Tenerife and the subsequent activity log will be generated. It is also informed that during the event, images, videos and/or audio may be collected that in order to advertise the development of the act and on the website of Laycos and other broadcast channels. This data will be in this case stored in an automated file called "Advertising Laycos" that will give rise to the corresponding activity record. According to article 6.1 of the General Data Protection Regulation (RGPD), the processing of your personal data to carry out the purposes described, is based on your consent. Remember, it is not required to give your consent if you do not agree, although, if you refuse, it will prevent you to be informed of any new events, and also, you will not appear in any images taken and/or videos made on events or conferences. Given the above, and in accordance with Article 7.3 of the General Data Protection Regulations (RGPD), you are informed that you may revoke any of the previous consents at any time, exercising your right by sending an email to juridico@laycos.net addressed to the department of Data Protection. In any case, such revocation will not affect in any way the legality of the treatment based on the consent prior to its removal. In accordance with the provisions of the General Data Protection Regulations, we inform you that the identifying data provided by you and that are necessary to proceed to "receive and manage your curriculum vitae by Laycos", will generate the consequent registration of activity and proceed to store the information collected in an automated file called "Curriculum Vitae Laycos Network SLU", whose responsible for the treatment is Laycos Network, SLU, with CIF B76205137, and address on Avenida 3 de Mayo, 17 - Piso 2, Office 8, 38005, Santa Cruz of Tenerife. You are also informed that in accordance with the provisions of article 6.1 of the General Data Protection Regulations (RGPD), to carry out the process of your personal data with the purposes described above, is based on your approval. It is not mandatory, however, if give you do not agree, it will prevent Laycos to manage your curriculum vitae, and participation of selection of staff to cover possible vacancies in Laycos Network S.L.U. Under the provisions of Article 7.3 of the General Data Protection Regulations (RGPD), you are informed that you may revoke the process at any time, exercising your rights by sending an email to juridico@laycos.net directed to the Data Protection department, motivating their request. In any case, such revocation will not affect in any way the legality of the treatment based on the agreement prior to its removal. The personal data collected by Laycos Network S.L.U. will be treated solely and exclusively by those responsible for the treatment, declaring that it will not resort in any case to outsource these services to third parties as stipulated in article 28.2 RGPD. There is no shared use of your information, and therefore, will not proceed to rent or sell the information provided by you, if applicable, it will only be made available exclusively to Judges and Tribunals, the Public Prosecutor or the competent Public Administrations with sufficient power, when Laycos was previously required. If we sell or transfer part of Laycos or everything to another company, in the course of any transaction, the information collected through the service provided, or that collected through the website, will continue to respect the commitments and conditions regarding treatment, responsibility, and ownership, as contained in these privacy policies. Given the foregoing, it would proceed to inform you whether the transferee or recipient of the transfer was a third country or an international organization, that it has the appropriate guarantees that are required by virtue of Article 46 of the General Regulations for the Protection of Data. If Laycos needs to carry out the transfer of personal data to a third country or an international organization, by virtue of the Law of the Union or member of the States that are applicable to it, will inform the user through these Privacy Policies, unless such Law prohibits it for important reasons of public interest, the guarantees offered by the country of transfer, and if applicable, the interested parties continue to have enforceable rights and effective legal actions. The information collected in an automated way by Laycos through this website, as well as through the provision of its service as a corporate network, is hosted in the European Union, on the servers of Laycos mentioned in the CPD of the Digital company. 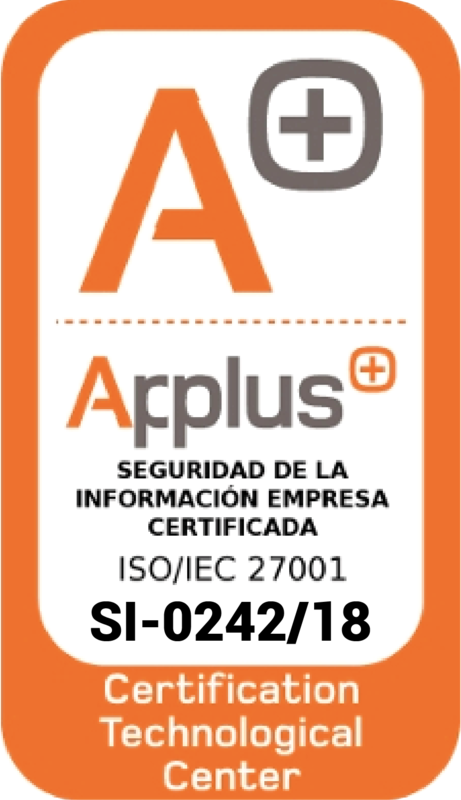 Ocean, located in Amsterdam, The Netherlands, this entity, certified in ISO 27001 on Information Security Management Systems. In no case shall there be a transfer or assignment of information without prior authorization from the user, in case the mandatory security policies change. Laycos Network SLU as responsible for the data, will not communicate or transfer the personal data to third parties and will be treated with the appropriate confidentiality, being able to exercise their rights as a user, sending an email to juridico@laycos.net or writing to the fiscal address indicated in the heading of this privacy notice. Laycos has taken all reasonable business protection measures to help maintain the security of the information collected through the service it offers, following the necessary and reasonable steps such as requesting a unique password, in order to verify the identity of the user before allowing access to the platform. However, the previous, Laycos is not responsible for cases in which the user has decided to disclose, assign, disseminate or provide their access password to third parties, therefore the user is responsible for keeping the unique password secret, the information of the account, as well as to control the access at all times. If you suspect that someone has accessed your account, you should contact directly by sending an email to juridico@laycos.net following the instructions contained in article 14 of these Policies, related to security. a) Access personal data that are subject to treatment by Laycos, obtain information about their treatment and obtain a copy of them if requested. b) To correct and/or update your personal data that are being processed by Laycos in the event that they are inaccurate or incomplete. c) To request the restriction of the processing of your personal data in case you consider that the personal data object of treatment is inaccurate, that the treatment is illegal, or when you have exercised your right of opposition to the treatment. d) They also have the right to exercise the portability of their data, which will be provided through the delivery of an automated copy of their personal data, using a structured format, common use and readable. e) You have the right to object to the processing of your personal data on the basis of relevant reasons related to the specific situation that in their opinion, should prevent Laycos from processing your personal data. f) Removing their approval for the purposes: marketing, event registration, images, resume, and a guest user. g) You have the right to request the cancellation of subscription and to erase all your data. If you wish to exercise any of the rights that protect you as a user, you may do so by sending a written request to Laycos Network S.L.U. email: juridico@laycos.net to the attention of the Data Protection department. In any case, you are informed that as interested you can file a complaint with the competent control authority and with the responsibility for the personal data protection if you consider that the processing of your data is illegal. 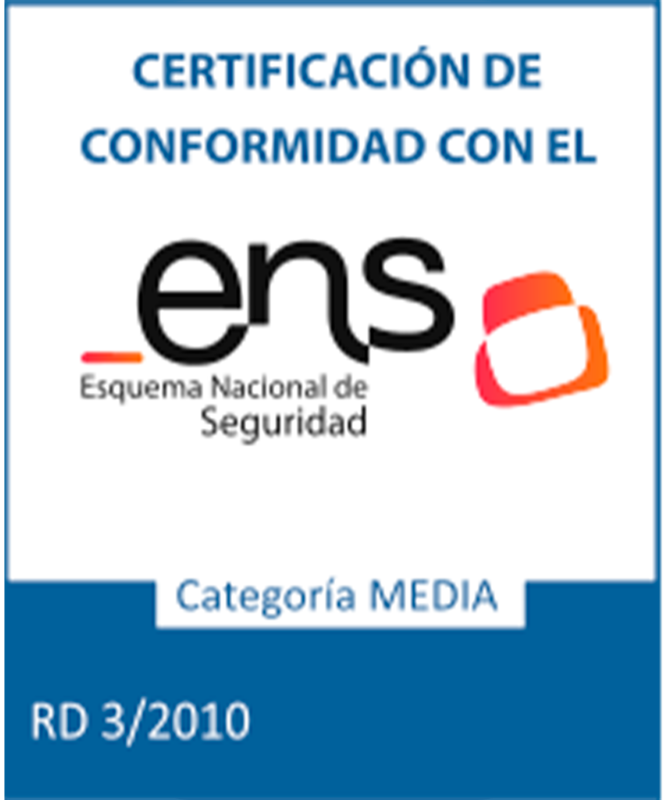 13.- Identification of Data Protection department of Laycos Network S.L.U. Laycos, aware of the risks facing the new challenges posed to extend their services through the Internet, has had stringent security measures to reduce those risks. In compliance with and in accordance with the provisions of the General Data Protection Regulations and other regulations that result from its application, it is in a position to guarantee the technical and organizational solvency, sufficient and necessary, to carry out the processing of data with the purposes described, only and exclusively in the preceding expositions. Given the above, the necessary technical measures are in place to prevent unauthorized access to information: periodic backup copies, pseudonymization, encryption and anonymization of the information contained therein are made and the communication that is carried out in Laycos is encrypted. Likewise, the control and storage of information of users, media, access to data and system events are carried out periodically. However, Laycos cannot guarantee the absolute invulnerability of its security systems, so it exonerates any type of liability for damages of any nature that may be due to the presence of viruses, external attacks, or other elements that may cause alterations. in the computer system (software and hardware), electronic documents and files of the user or any third party, including those that occur in the services provided by third parties through this portal. Users are informed that the use of electronic data transmission systems and electronic mail do not offer absolute guarantees of security. The user and Laycos mutually exonerate themselves from any liability arising from events such as non-receipt or delay of the same, error or interception of communications. By virtue of the provisions of article 33 of the RGPD, the person responsible for the treatment shall notify the supervisory authority without undue delay (a period not exceeding 72 hours) of the security breaches of the personal data of which he or she is aware. When it is likely that the breach of security of personal data involves a high risk for the rights and freedoms of natural persons, the data controller will inform the interested party without undue delay. The communication described in the previous section will not be an obligation when the requirements described in section 3 of article 34 of the General Data Protection Regulations (RGPD) are met. In general, your personal data will be blocked when they are no longer necessary for the purpose for which they were collected, being exclusively available to Judges and Tribunals, public prosecutor or the competent public administrations, in particular the data protection authorities, for the attention of the possible responsibilities born of the treatment, during the period of prescription of these. During this limitation period, Laycos will proceed to delete your data. The data treated by Laycos is in order to register the client with the corporate network and allow its access to it, will be retained during the duration of the contractual relationship that would have signed the parties, being able to keep it blocked during the period of Legally established prescription for the purpose of attending to any claim and/or complaint that could derive with respect to the contract signed, the service, and/or the treatment of the data that has been carried out. When the client notifies Laycos Network to end the contract, and whenever Laycos does not access the information published in the private community, the client will be authorized and/or allowed with free access to their information. Within fifteen days after having officially received the communication to cancel the service, the client will personally download all necessary information regards their community. After the period of 15 days, Laycos will delete permanently all information shared in the community. Guest users: The data collected by Laycos to manage the discharge and access of the invited user to the client's private community: name, surname, and email, will be retained in order to identify any publication made by the user out of their community. Although the guest-users may oppose treatment to Laycos, the owner of the organizational domain may also request Laycos, the guest's descent from his private community when the personal and professional circumstances of each particular case, no longer justify, their access to the corporate network, of a professional nature. Laycos will keep the personal data processed for marketing purposes from the moment you give your consent until the moment you revoke that consent or, where appropriate, be renewed when necessary. Once your permission has been removed, your personal data will no longer be used for these purposes, although Laycos may continue to keep it for the minimum necessary time, in order to protect your interests in relation to any possible liability arising from this treatment. Laycos will keep the personal data processed in order to proceed to the registration of their events and/or days from the moment you give your approval: Once completed, we will keep it blocked for two years, in order to protect your interests from any claim in relation to this treatment. Laycos will keep the personal data processed in order to share images extracted from the celebration of public events and/or conferences from the moment you grant your consent and once the event is over, Laycos will keep them published until you cancel want to the agreement. Once again, the previous consent, Laycos will proceed to conserve the images blocked during the period of legal prescription and will remove them without further formalities. Laycos will keep the personal data processed in order to meet your request as a claimant for an employment vacancy in this entity, from the moment you provide your resume and until the moment you revoke that consent, or as the case may be at the maximum during the two years following to have incorporated his curriculum vitae in the website. After this period, your data will be automatically deleted. Since Laycos will never have access to the information managed by the client in its private community of the corporate network, only for exceptional technical reasons and following the client's documented instructions, the technical personnel authorized by Laycos Network S.L.U. will be able to access the database that manages the private community in order to solve the incidence raised in your case. Both parties agree to maintain the strictest confidentiality and to not disclose confidential information to which they may have access in any format and by virtue of the flow of information that may occur as a result of the provision of the service in the terms strictly described. However about the foregoing, Laycos during and after the validity of this privacy notice, will treat all information collected in a strictly confidential manner, taking the necessary measures so that its content is not disclosed to third parties, nor may they have access to the same without the express authorization of the Person Responsible for the Treatment (Article 28.3 (b RGPD) For the purposes of this agreement, confidential information shall be considered as any information that may be revealed orally, in writing or by any other means or support, tangible or intangible, whether exchanged as a result of this contractual relationship or that one party designates or designates as confidential the other. The owner of the source code, the design and the navigation structure of this corporate network, corresponding to this entity in its capacity and is also the owner of the application, the exclusive exercise of the rights to exploit them in any way, and especially the rights of reproduction, distribution, public communication and transformation is Laycos Network S.L.U. All this material is protected by the legislation of intellectual property and its improper use can be subject to sanctions, even criminal. Laycos Network S.L.U. will not be in any case, responsible for the damages of any kind derived, directly or indirectly, from the failure of reading this notification, or from the breach of the obligations established therein. Laycos Network S.L.U. will be able to access your information, keep it and make it available to the competent court order when we have been formally required to do so. 20. How to communicate the withdrawal of a user if he has contracted the services. You are informed that in order to carry out the resolution of the service contract you subscribe, you must communicate with at least one month in advance of this intention, and you will have a period of fifteen days, in order to be able to download all the information and documentation you have published in your LAYCOS community. Customer Service. You can provide information related to the use of the service, with related information of the application or other problems through Laycos. Network 'Laycos implantation', to solve specific doubts of the system for managers. Network 'Laycos consultation' to answer questions of normal users and use Laycos at a basic level. Laycos Blog, with helpful resources where you can find different functionalities. This Legal Notice is governed in each and every one of its ends by the Spanish Law, explicitly renouncing the parties to the jurisdiction that is appropriate, and subject to the Courts and Tribunals of Santa Cruz of Tenerife. Last revised: In Santa Cruz of Tenerife, May 24th, 2018.